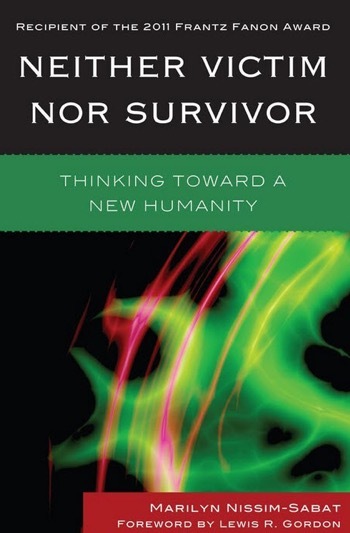 In Neither Victim nor Survivor: Thinking toward a New Humanity, Marilyn Nissim-Sabat offers a comprehensive critique of the interrelated concepts of “victim” and “survivor” as they have been ideologically distorted in Western thought. Framed by the phenomenological perspective of Edmund Husserl, Nissim-Sabat carries out her argument through an intense engagement with current scholarly work on Toni Morrison’s Beloved, Sophocles’ Antigone, akrasia, psychoanalysis, critical race theory, feminist philosophy of science, and Marxism. Nissim-Sabat ultimately proposes that a new consciousness, enabled by the phenomenological attitude, of the way in which ideological distortion of the concepts of ‘victim’ and ‘survivor’ helps to perpetuate victimization will empower us to find ways to end victimization and its anti-human consequences. The book’s interdisciplinary approach will make it appealing to a broad range of students and scholars alike.